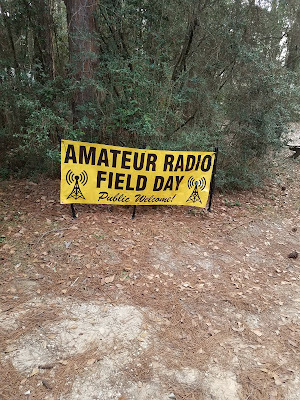 It is now less than 30 days to the June 23/24 ARRL Field Day. 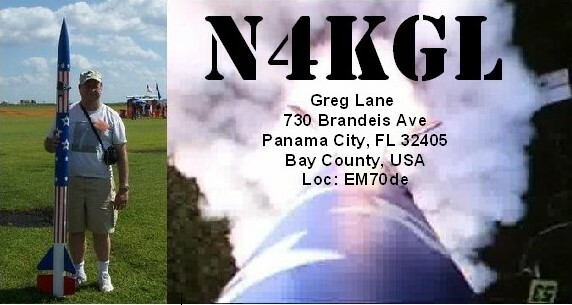 My friend Dennis WA6QKN and I are looking forward to operating using callsign N4Y from Falling Waters State Park near Chipley Florida. 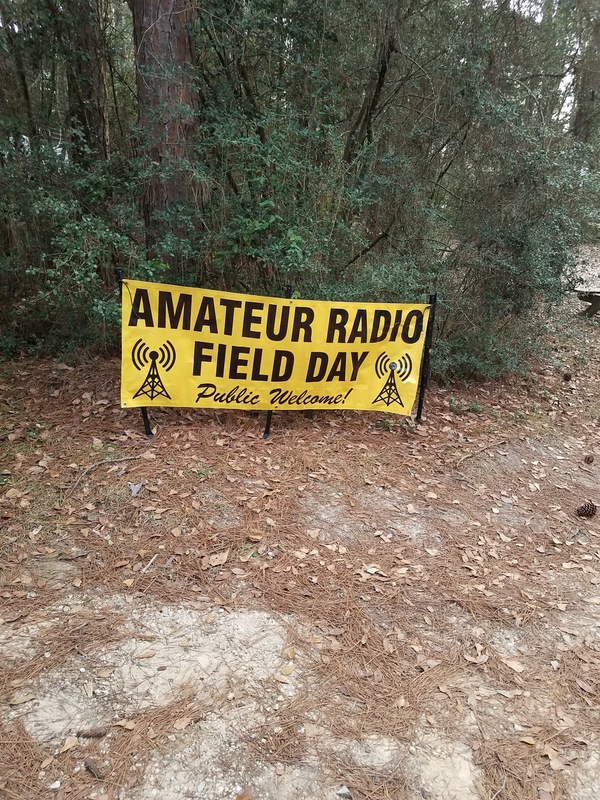 I was at Falling Waters for the June 2017 ARRL Field Day and January 2018 Winter Field Day. My last two setups were limited to one pull-in campsite. This space limitation was the motivation for the 100-foot vertical loop that uses 30 feet on the ground. 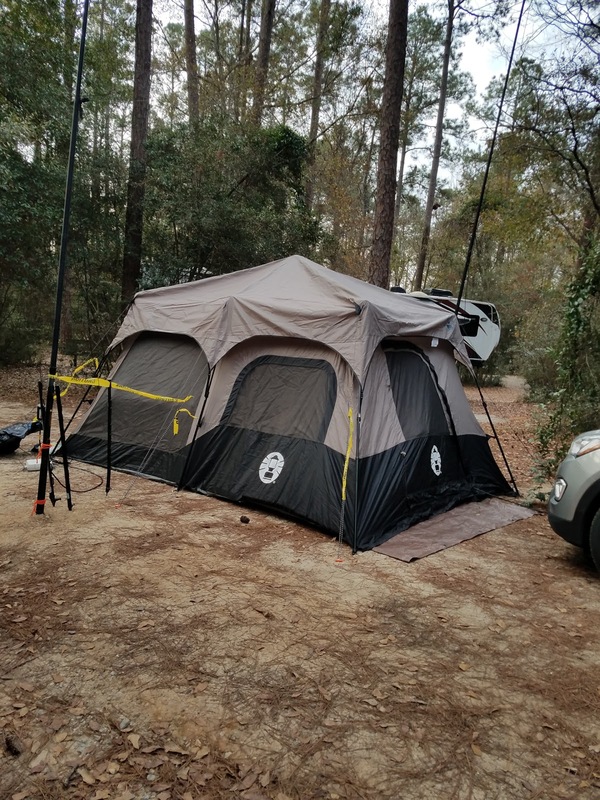 Last June, I used the Icom 7300 and last January I used the Elecraft KX3 on QRP. The loop works nicely with the Icom AH-4 tuner. I may lean toward the Icom 7300 for ease of use with the AH-4. The new wrinkle is our reserved site is adjacent to a large open field. I got a green light from the park staff to extend our antennas into the field. So now I can start daydreaming about alternative antennas. Other than longer and higher is better, I don't have much skill in evaluating antennas. Unfolding the 100-foot loop and making it a 100-foot doublet is an idea. I could also go with a 40/20 fan dipole. What about an 80-meter horizontal loop on all bands? So having many choices is a dilemma. I can recommend the 100-foot loop for limited space based on using it for Field Day and other portable events. I still may go 100-foot loop and add a second antenna, perhaps vertically polarized, for diversity sake.